The massive ‘Paradiski’ area is one of our favorite places in the Alps! 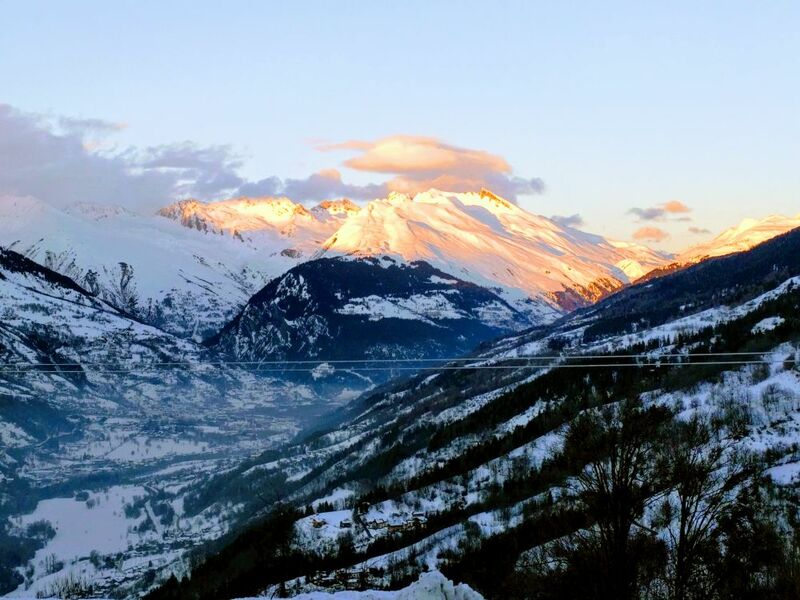 The caravaneige at Montchavin gives easy access to the whole area, either directly up the mountain towards La Plagne or across the impressive Vanoise Express gondola over to Les Arcs. 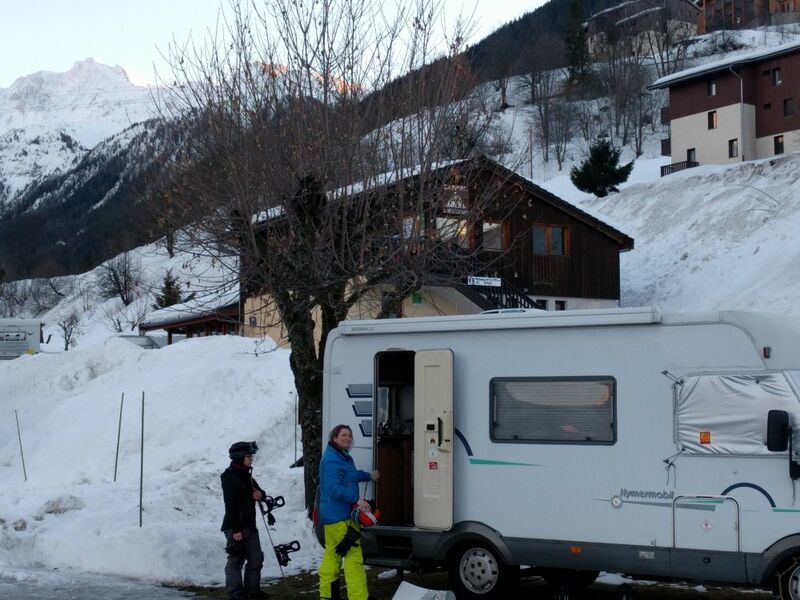 The campsite is a short walk from the main Montchavin chairlift and is well equipped with pitches looking out over the valley towards Bourg Saint Maurice and a well equipped facilities block with hot showers, a family room and a gear drying room. The people that run the site are really friendly and offer loads of tips on things to do and see locally. Our favorite bit is that a local restaurant comes by once a week and makes fresh Pizza to order! Super tasty! Prices start at €17 per night for two people and EHU is extra. At an altitude of 1250m the snow can sometimes arrive late to this part of Paradiski BUT there is a handy free bus that comes regular to transfer you up the mountain to Les Coches if needed. A great little spot with stunning views! Looks great, we stayed in huttopia bourg st Maurice last winter for a week, great campsite, shuttle to slopes, immaculate showers. Will be out there for 6 weeks from early Jan, will try Montchavin. Anything I need to know? Hi Roger, Thanks for the comment. We have also stayed at the Huttopia (off season) a few times and really enjoyed it. You are right the showers are great!